As for the mnemonics Herzberg includes, they run the gamut from the helpful (For ten, the author writes, “A perfect ten on a scale 1-10 is an excellent score”) to the funny (For yuube, you’ll be treated to “You, babe, were so fun last night!”) to the seemingly bizarre and long-winded. 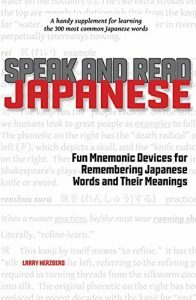 But most importantly, while reading the book you should remind yourself to create your own mnemonics as what might suffice for Herzberg in learning Japanese might not work for others. Speak and Read Japanese won’t be mistaken for the most thorough guide for learning the language—at times, it comes across as a largely glorified glossary (the Japanese terms defined in the book are listed in alphabetical order) and lacks grammatical tips. But it is a nice reminder that injecting humor into language learning can go a long way. For fans of Chinese and Japanese language, culture and literature, Stone Bridge Press is currently offering special holiday bundles of related books from now through December 25! Click here for more details. 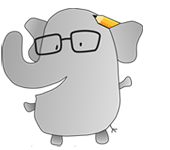 For more on Speak and Read Japanese, click here.